More than 120 engineers from 30 companies conducted a series of tests as part of the European Telecommunications Standards Institute (ETSI) Plugtests event in an effort to ensure that LTE mission-critical push-to-talk (MCPTT) products will provide voice interoperability to first responders in the future. More than 120 engineers from 30 companies last week conducted a series of tests as part of the European Telecommunications Standards Institute (ETSI) Plugtests event in an effort to ensure that LTE mission-critical push-to-talk (MCPTT) products will provide voice interoperability to first responders in the future. Conducted at Texas A&M University, the tests marked the second time that ETSI has led an MCPTT interoperability event and the first time that interoperability testing of MCDATA and MCVIDEO products has been conducted. Comparted to last year’s event in France, the Texas plugtests had 50% more companies participating and many more interested observers representing public-safety entities that are considering LTE adoption. “It’s absolutely met and even exceeded our hopes and expectations,” TCCA Chief Executive Tony Gray said during an interview with IWCE’s Urgent Communications. “Just the basic quantities, in terms of the number of participants and the number of various applications, clients and servers that they’ve brought together is dramatically more than last year. Fidel Liberal, coordinator of the Mission Critical Open Platform (MCOP) initiative, echoed this sentiment. Gray said he was especially pleased by the participation of vendors that are newcomers to the public-safety space, many of which were attracted to the sector because of public safety’s willingness to adopt LTE as a global standard. “What’s really delightful from a personal point of view and TCCA’s point of view is to see how many new entrants are coming into this public-safety market, just on the back of the use of commercial 3GPP standards and global standards,” Gray said. All participants in the ETSI plugtests interviewed by IWCE’s Urgent Communications were careful not to discuss the success rate of the interoperability testing last week, as requested by the organizers. ETSI is expected to release some aggregate data about the testing, but those results will not specify the performance of any particular vendors. All of the tests conducted were designed to address on-network interoperability between vendors, according to participants. As a result, there was no testing of direct-mode Proximity Services or isolated E-UTRAN operation (IOPS) functionality. Bob Holzwarth, director of engineering management at Harris, described the setting for the MCPTT plugtests. 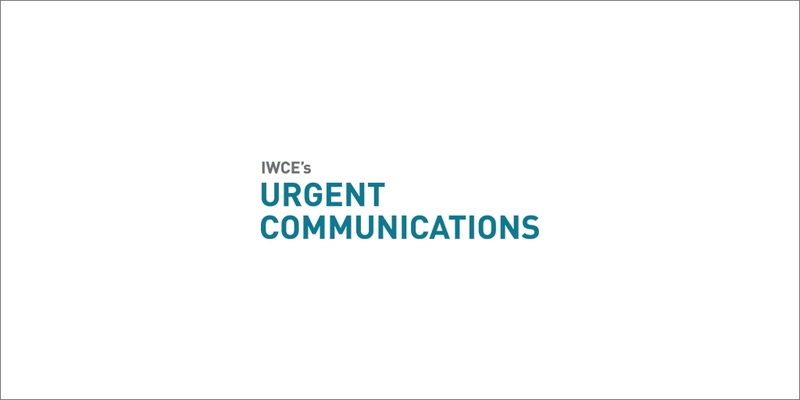 “We have a large room with about 30 companies represented, all crammed together with laptops—it’s really neat,” Holzwarth said during an interview with IWCE’s Urgent Communications. “Normally, when you’re surrounded by all these different companies in the same field, you’re at a trade show or someplace where you don’t interact too much. Here, of course, we’re actually forced to work together, because we’re trying to do interop tests to show that we’re conforming to the standard.